I also threw on this scarf to play up the pink and orange since it was quite chilly this morning! 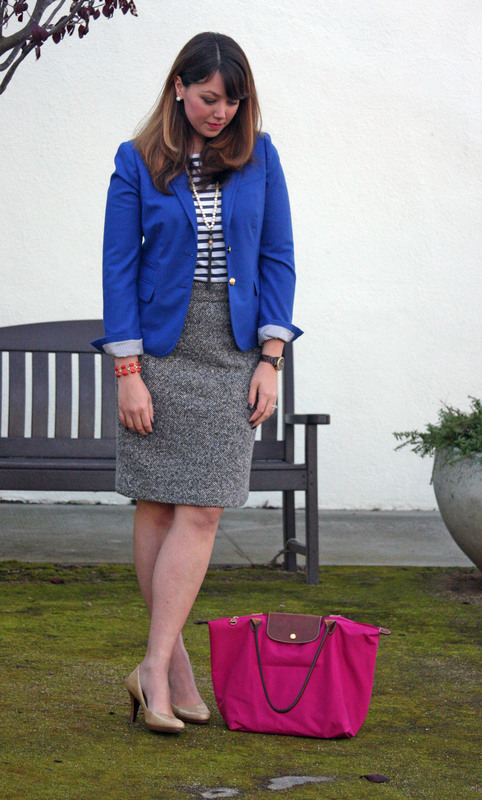 Posted in Outfits, Workin' In Wednesday and tagged Cole Haan, J. 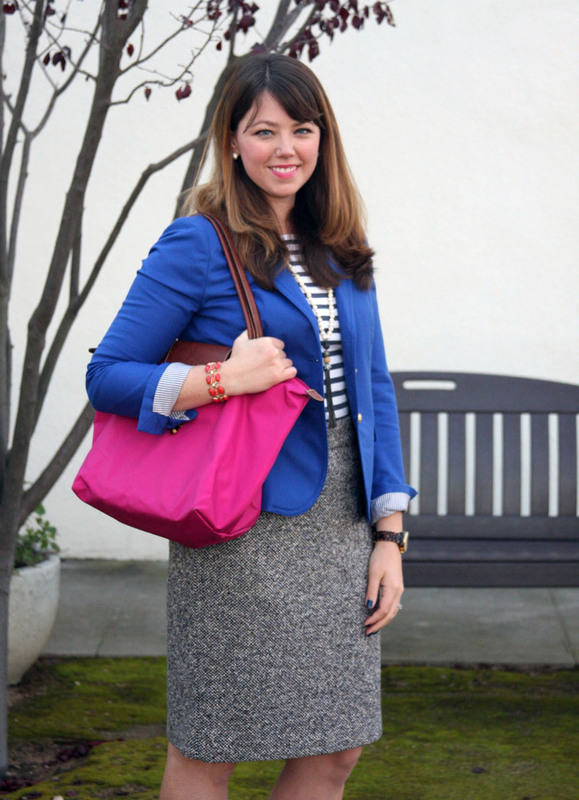 Crew, JewelMint, Longchamp, Stella & Dot, Stripes, Tweed, Workin' It Wednesday. Bookmark the permalink. Great look!! 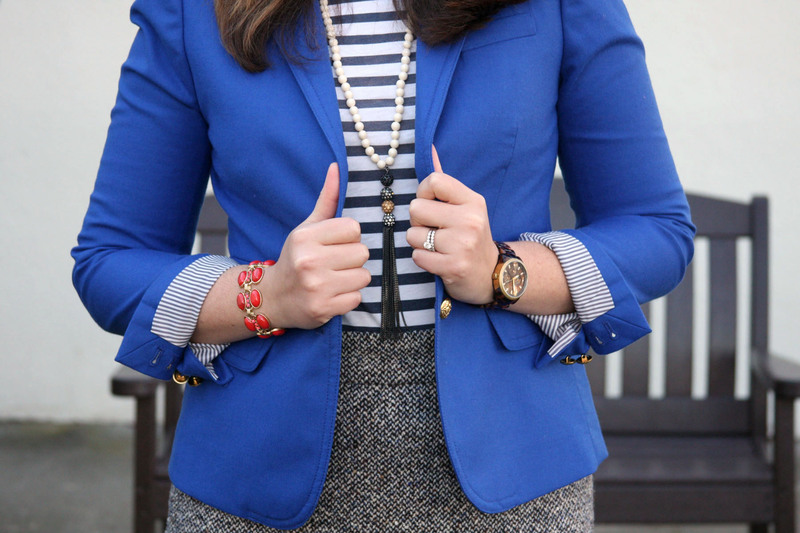 I love anything that is nautical inspired! Your skirt is so great! Love this for work! I have a grey skirt similar to this, but I wasn’t sure what to wear with it! Thanks!